FEA’s structural consulting expertise and existing building focus come together in remarkable fashion to tackle some of the industry’s most unique and challenging building problems. Often the current or future use of a facility may not match the use for which it was originally designed. FEA can assist when loading conditions are modified in a renovation or change of use; when the original structure was under-designed for proposed uses; when the elements of the structural system have deteriorated; or when overloading conditions (like a heavy snowstorm) occur. FEA has provided structural consulting and feasibility studies for cases such as these and many more. Each project is unique and so is our approach. We have helped clients with both progressive failures of systems and catastrophic collapse. 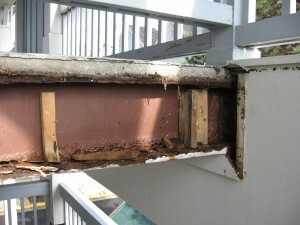 Our structural consulting serves are implemented seamlessly with other service lines offered. For example we can provide assessment of an existing roof structure where the client is considering installation of a heavier vegetative green roof system in conjunction with a roof assessment and feasibility study. FEA’s distinct strength comes with having useful experience in how to design and implement projects in occupied spaces to minimize disruption and account for constraints due to space limitations and the project environment. FEA deals with a wide variety of structural systems including steel, wood, masonry, normally reinforced concrete, precast concrete and post tensioned concrete.